Home > Misc > See All Products > PetAlive Natural Moves - Constipation Remedy for Dogs and Cats - 60 ct.
Natural Moves for Pets is a natural remedy to help relieve symptoms of constipation and to support regular bowel movements in constipated dogs and cats. 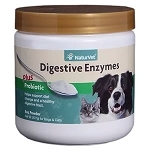 Natural Moves for Pets is a natural remedy to support regular bowel movements in constipated pets and to maintain healthy bowel and digestive functioning. Used occasionally when needed, or regularly for long term support, the ingredients of Natural Moves for Pets have the added benefit of supporting thyroid health, maintaining cholesterol within normal levels and encouraging healthy strong skin and bones. Psyllium Husk (Plantago Ovata Husk) is a very high source of dietary fiber and has been used for centuries to support regular bowel movements. Cape Aloe (Aloe ferox) is known for its beneficial effect on digestive functioning and acts as a natural system cleanser. It is also widely recommended for the support of regular bowel movements. 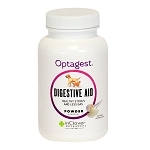 Natural Moves for Pets comes in convenient capsule form. The capsules are easy to administer to pets and may be given whole or opened and the contents mixed with food or a treat, depending on your pet's size and preferences. Natural Moves may be taken regularly every day for long-term results or occasionally when needed for 5 - 10 days – depending on your pet’s needs.